AMD’s A10, A8 and A6 chips—code-named Kaveri—are targeted at small-form factor and even larger desktops starting at $399, said Adam Kozak, AMD’s desktop product marketing manager. The chips have up to eight integrated graphics cores and are capable of rendering 4K video, which has a resolution of 3840 x 2160 pixels, four times that of traditional high-definition video. Most gaming titles can be played on desktops with the chips, Kozak said. Users could build quiet, cool systems that could be easily carried to LAN parties, a reference to gatherings of gamers competing in multiplayer games, Kozak said. But enthusiasts won’t be able to build desktops as small as Intel’s NUC (new unit of computing) mini-desktops, which are small PCs that could be held in a hand, Kozak said. The A10, A8 and A6 chips have the same GCN (graphics core next ) graphics technologies used in Microsoft’s Xbox One and Sony’s PlayStation 4 gaming consoles. The chips are compliant with AMD’s Mantle technology, which like Microsoft’s DirectX helps improve video effects in PCs. The new chips will also boost performance by harnessing the joint computing power of GPUs and CPUs for specific tasks. For example, browsers will be able to tap into CPUs and GPUs to improve the rendering of YouTube video. The chips are also compatible with specifications from AMD-led HSA Foundation, which is developing parallel programming tools to rival OpenCL. The new Kaveri chips, which draw 65 watts of power, have up to four CPU cores code-named Steamroller. The chips can be tweaked to consume only 45 watts of power, but the graphics performance would suffer. The A10-7800 quad-core chip runs at variable clock speeds of up to 3.9GHz, has eight graphics cores, and is priced at $158 for 1,000 units. The 3.8GHz quad-core A8-7600 chip has six graphics cores and is priced at $104. The 3.9GHz A6-7400K dual-core chip has four graphics cores and is priced at $79. 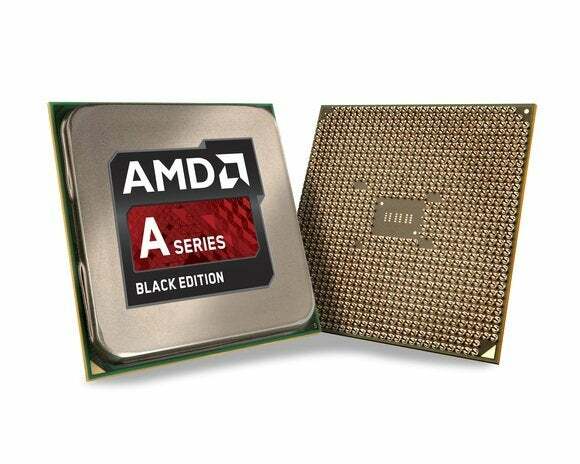 AMD now offers five Kaveri processors for desktops. The first two shipped in January for higher performing and more expensive desktops.